Pick a line, trust your shoes, and run absolutely wild. 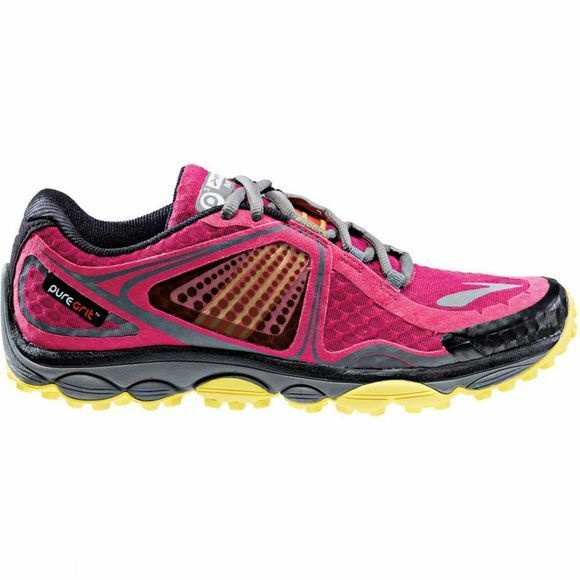 It's as simple as that in the completely redesigned PureGrit 3 trail running shoe for Women. 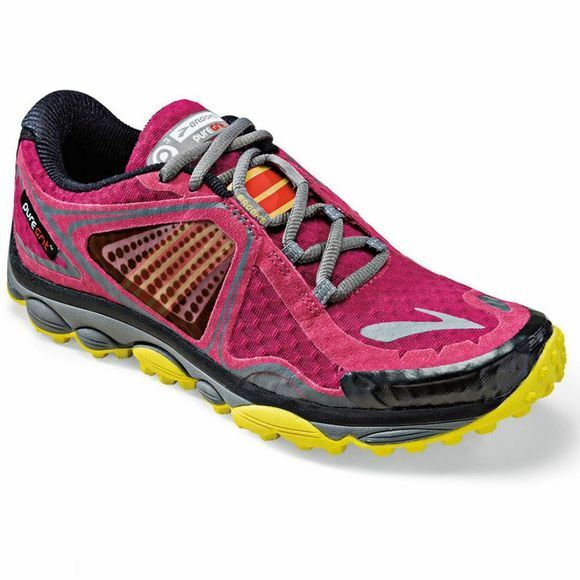 Taking a cue from the mad grip of climbing shoes, this lightweight runner connects you to the terrain as it responds and protects you from its tricky elements. An outsole peppered with hex lugs delivers maximum grip, while a ballistic rock shield protects your foot from rocks and roots on the trail. A toe guard provides protection and added traction when the trail gets steep.